There is nothing written in stone when it comes to Forex trading. It all depends on individual mindset and the ever-changing market trends. Today is the second in a series of article on Forex trading and whether there is such a thing as a successful Forex trader. You see, you might have seen Forex traders who seem to make a fortune out of it and it seems that they know the insider secrets. Well, not exactly. 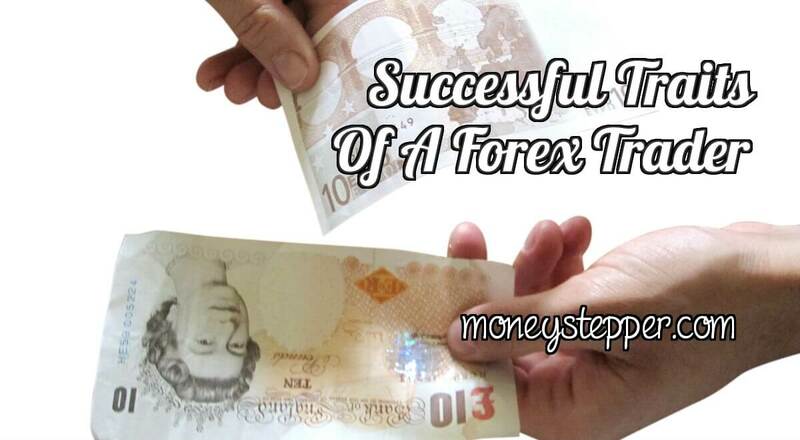 But with the right trading acumen, there is a chance that you could succeed in Forex trading. But, what are the traits of a successful Forex trader? Let’s take a look. If you are new into Forex trading, chances are that you will start setting goals that cannot be achieved. If you are trying to make $20,000 profit in the first year itself with a capital of $1000, it might sound very optimistic and ambitious, but you are highly unlikely to achieve that target. Failing to achieve a target which you’ve set too ambitiously can be very disappointing. It’s much better to be realistic. Do not set goals that cannot possibly be achieved. Successful traders consider three things before investing – 1) how much they can really invest, 2) how much time they can give to research and studying, and 3) how much time can he give to FX trading. For example, if you have a day job, intra-day trading might not be suitable for you. Successful traders often admit that the biggest challenge of day trading is to keep the emotions out of the thought process. Staying in trades with a lot of unfulfilled profit is almost as difficult as closing a trade that does not yield much. Therefore, you need to stop believing in a trading system that has failed to yield profits for quite some time and start doubting your actions. The first step you need to take to control your emotions is to ask yourself about what type of trader you are actually. Are you impetuous? Are you patient? Are you a natural learner in yourself? Self-assessment is necessary. If you are taking FX trading as a get-rich-quick scheme and you are not studying the charts, the numbers, the money market news, price development and trading instruments, then you are probably going to lose the game very soon. Certainly, you go through both thick and thin, so you have to have some passion for the trading activity and the technicalities of FX trading. However, at the same time, you need to work a strategy into your trading activities, have a robust set up, a fail-safe exit strategy, and money management acumen. Software programs and trading systems will do their job, but you need to be highly disciplined while trading. No system can guarantee you success, but to make any succeed, you’ll need to stay dispassionate while trading. To wrap it up, you need to first divest yourself of the emotions, then set definable goals and keep tabs on market trends to become a successful trader. If you want gain more insights on FX trading and start your trading career, get expert tips and much more, then you can find out more at one of the UK’s biggest FX trading agency: CMC Markets.